This nifty cathedral from General Electric was one of the first to feature the giant globe or "airplane" dial that gives the impression the world is at your fingertips. 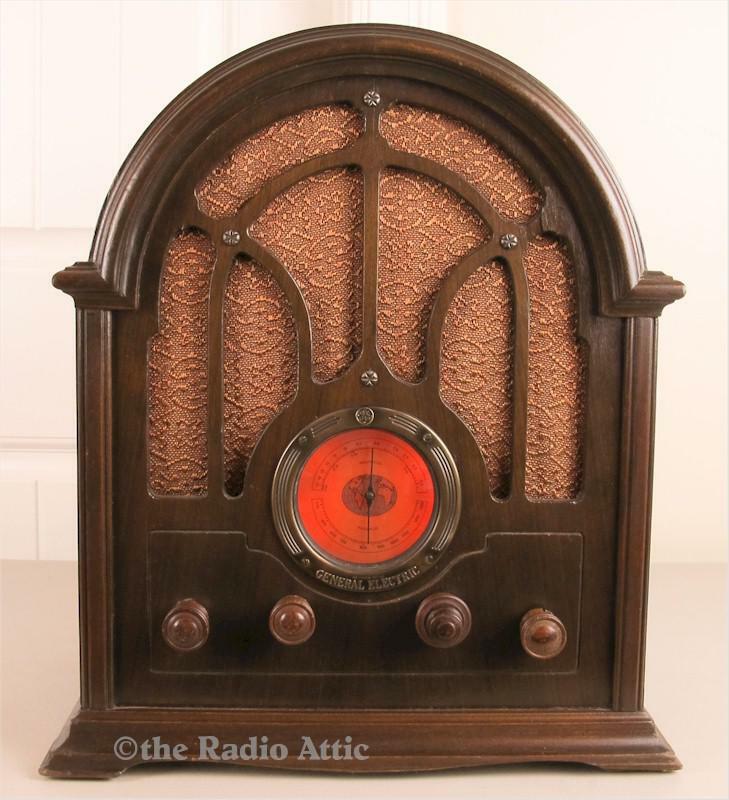 Lingering effects of the Great Depression did not prevent buyers from snapping up this wonderful radio. It also features the decorative carry handle on the top, but I wouldn't recommend lifting with the handle. The wood cabinet is nearly perfect with just a couple of missing pieces in the base. The grille cloth, dial and knobs are outstanding originals. The electronics have been painstakingly restored by one of the most experienced and talented technicians on the east coast with no expense spared. There's even a new period correct cloth power cord for added safety. It has six tubes and is a great performer. 18-1/2"H x 14-1/2"W x 10-3/4"D; 23 pounds.